Pallet delivery of engine parts requires more than rope and a few rags. That might seem more than just a little obvious, but the attempted methods for securing engines have run the gamut from plastic-and-tape fortress to miles of string. 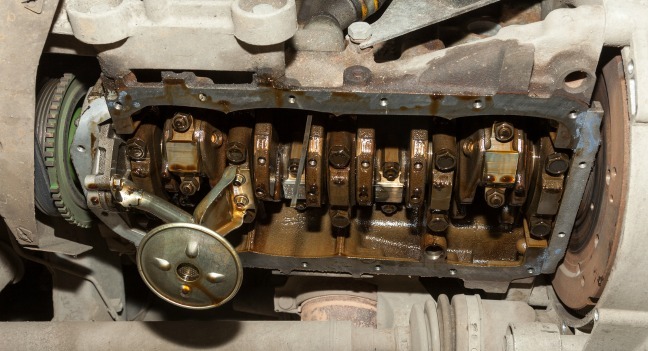 We get a lot of engine and gear box delivery questions, so the best practices bear repeating. Here is what you need to know about pallet delivery for engines. 1.It needs to be drained. Fluids will leak during transit, which can be dangerous for handlers, other cargo, and the vehicle. The engine should also be as clean as possible. A driver needs to be able to check the dipstick to ensure that the engine is sufficiently drained and can refuse the shipment if it is deemed to not be. In addition, the pallet should be covered with a rug or other absorbent material. 2.We need an access point. As long as the wrapping material is see-through, you can use plastic shrink wrap. Wind the wrap tightly around the corners and through the slats so that the engine and pallet are one unit. As noted above, the driver should be able to check the dipstick if necessary. 3.Straps need to be tightened. If you don't want to use shrink wrap, use ratchet straps or plastic or metal bands that can be mechanically tightened. Of course, it isn't a bad idea to use both wrap and straps. 4.Laid flat is best. If the engine for some reason cannot sit flat on the pallet, set it in a tyre to keep it from moving around and possibly getting jostled out of its straps. The pallet can go through many vehicle changes during its journey, so think ahead and plan for these changes.